Oasis500 is a leading early stage and seed investment company, the first of its kind in Jordan and the MENA region. 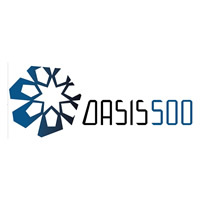 The program at Oasis500 includes entrepreneurship training, mentorship guidance, business incubation and acceleration, and additional follow-on investment and funding if required, turning new business ideas into startups and helping existing entrepreneurs grow their companies with its angel investor and mentor networks. Oasis500 nurtures creative ideas in Information Technology (IT), Mobile and Digital Media, as well as ideas in the Cultural and Creative Industries sector, transforming them into startup companies. Oasis500 has invested in a total of 117 startups from both the ICT and creative sectors till date. Oasis500 has partnered with UNICEF to build the youth entrepreneurial capacity in Jordan and introduce them to competencies that are essential to properly understand the business world. Through a World Bank grant, Oasis500 has conducted 3 regional boot camps in Tunisia, Palestine, and Morocco. It has sent over 50 entrepreneurs to various competitions, workshops and conferences. Oasis 500 has also created online and offline content to serve the entrepreneurial eco-system and the knowledge transfer across it. In partnership with Badir (a program for social entrepreneurs in Jordan), Oasis500 has conducted 2 boot camps that trained more than 120 entrepreneurs in building business models and launching their businesses. Majd Afaghani is an Acceleration Officer at Oasis500 with a background in international business and a focus in strategic development. 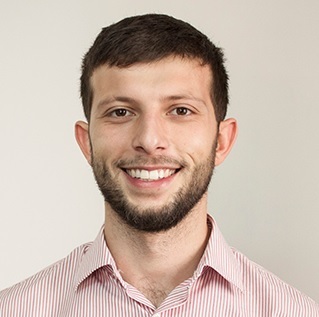 His role includes sitting on the investment and growth committees and admitting the startups to the 100 day acceleration program at Oasis500 and then working with the startups on taking their operations forward. The involvement with the startups includes conducting industry specific market research, working on growth hacking strategies, developing and implementing an effective business model, as well as helping them identify and tackle opportunities and partnerships that add essential value to the startup's operations.